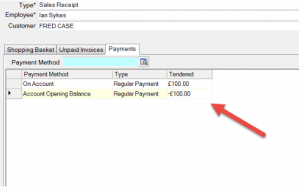 Go to the Unpaid Invoices tab. Select Pay Specified Amount from the Coolbar on the right. 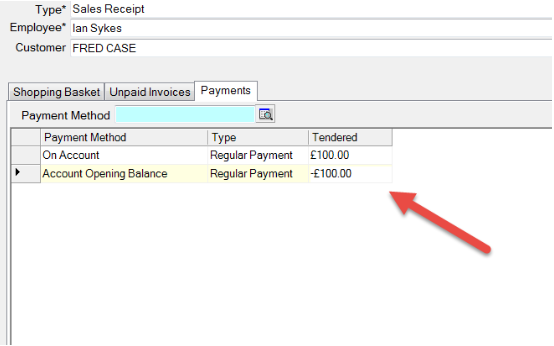 Amount on the Unpaid Invoices tab. Then a positive amount On Account and negative Cash on the Payments tab. called ‘Account Write Off’ or similar. The ‘Account Write Off’ stock item should have a Stock Type whose Profit Center is marked as “Appear in Profit Center Breakdown Report’s Memo section”. This makes it obvious on reports that it was not a “Sale”. 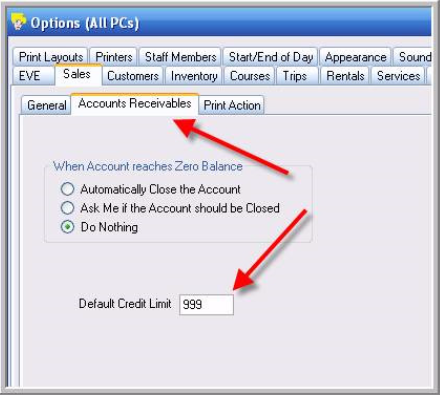 EVE will decrement their account and you will see the ‘Account Write Off’ figure in the memo section on your Profit Center report so you know where the money went. 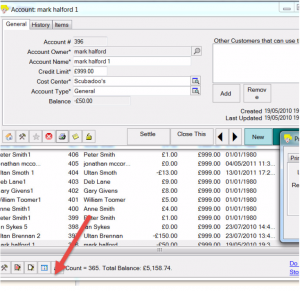 Then create a new invoice and sell the Account Write Off item or positive the amount on their account. To the Till Rec print layout so that you can see these for any period. and add that to the layout under the Other Payment Methods Footer. 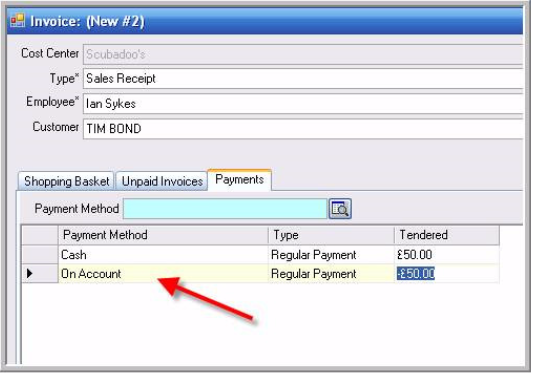 Then add a text box and enter AccountPayments as the text for that (note there is no space in that text). 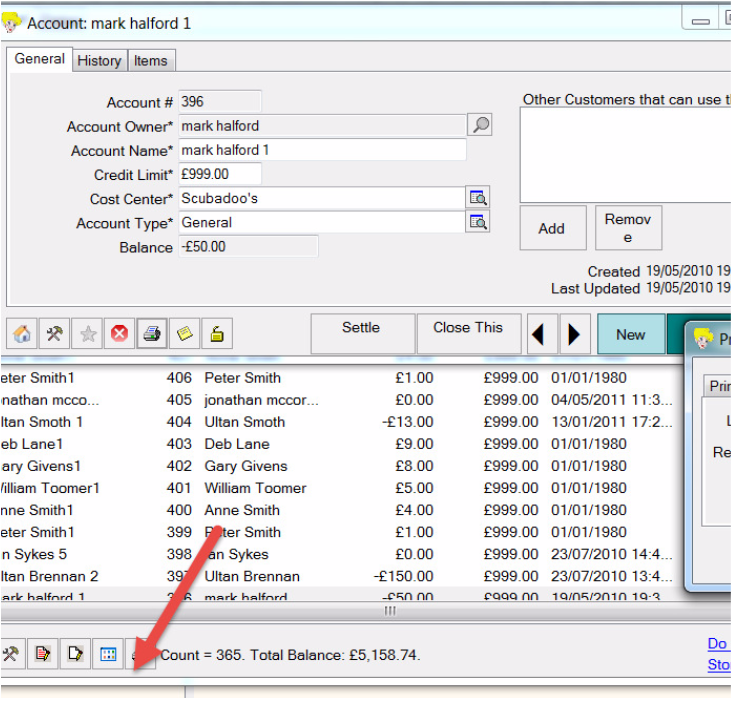 You’ll then have the info you need on any Till Rec report over any period as you see fit.